That man right there. He’s got class written all over him. 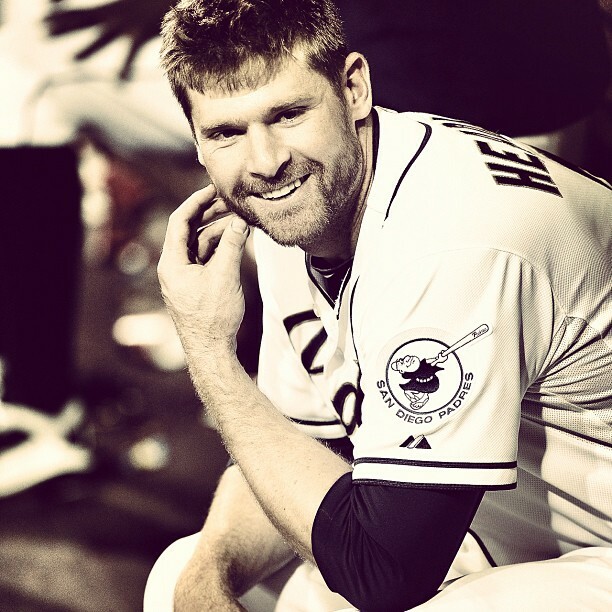 The Padres finished the second half of the season strong, but the highlight of 2012 is Chase Headley. After the All-Star break, he exploded into one of the best hitters in baseball. It’s nice that he can have a title like RBI champ next to his name now… he deserves it. He beat Ryan Braun by 3RBI… 115 to 112. Screw Ryan Braun… that friggin’ cheater. Side note, keep your fingers crossed, Pads fans… just because Chase won the RBI title, MLB still might give it to Ryan Braun. If you don’t know what I’m talking about… just ask Matt Kemp. This entry was posted in Baseball, MLB and tagged chase headley, chase headley NL RBI leader, chase headley padres, chase headley RBI champ, NL RBI Champ. Bookmark the permalink.